There are many reasons why communities seek to stop a big-box proposal — the effect on local economic development and small businesses, traffic congestion, environmental issues, community impacts, low-paying jobs. Whatever your concerns, however, the main way most communities succeed in preventing the development of a big-box store is through the local land use system. Don’t worry if you know nothing about land use policy. Most citizens who succeed in stopping a big-box development started out with very little knowledge of or experience with planning and zoning. This guide and the other resources in the Big-Box Tool Kit will explain not only how to navigate your local land use policies, but also how to organize a citizen-based campaign to stop a big-box proposal and to make permanent changes to your local policies to put citizens in control of how the community grows and develops. Citizens groups often succeed in blocking big-box proposals. 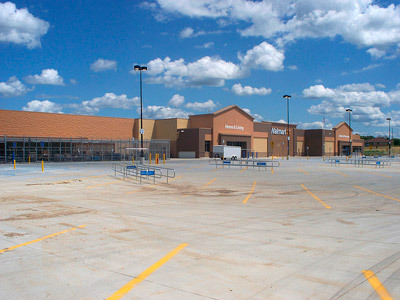 According to a recent study published in the American Journal of Sociology, between 1998 and 2005, citizens organized to block Walmart proposals in 563 locations. In 366 of those sites, Walmart was either defeated or withdrew its proposal. Click here to see the best available research on the impacts of big-box retailers. We provide summaries of the primary findings of more than three dozen studies that examine such questions as: Does Walmart boost employment? Do big-box stores increase tax revenue? 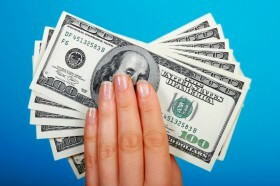 Do independent businesses keep more money circulating locally? Big-Box Blight: The Spread of Dark Stores A growing number of towns are inundated with chronically vacant big-box stores and shopping centers. Here’s how to prevent big-box blight in your community. Five Myths About Big-Box Retail Do big-box stores really create jobs, boost tax revenue, and grow the economy? This fact sheet counters common myths about big-box development. How Big is Too Big Help people visualize and understand just how big these stores are and how their size affects the community and local economy. Impact of Big-Box Stores on Jobs and Wages Despite substantial evidence that big-box stores reduce employment and lower wages, many local officials still believe these stores are job creators. Set the record straight. Impact of Big-Box Stores on Taxes and Public Costs When evaluating retail development proposals, municipal officials often focus on only one side of the equation: the amount of new tax revenue that the project will generate. It’s easy to overlook the fact that big-box stores and shopping centers also create new costs. Impact of Big-Box Stores on Traffic A 200,000- square-foot superstore typically generates more than 10,000 car trips on weekdays and more on Saturdays. Locally Owned vs. Chain: The Local Premium While dollars spent at locally owned stores stimulate the local economy, dollars spent at chains are siphoned out of the community. Toxic Runoff: How Big-Box Stores Pollute Lakes and Streams Polluted storm water runoff from big-box parking lots is a major threat to lakes, streams, and estuaries. Walmart’s Impact on Police Costs Many cities report that big-box retailers generate large numbers of police calls, creating new costs for local government and reducing police presence and response times in other areas. Sprawl-Busters Sprawl-Busters has helped countless citizen groups block big-box projects. They can provide advice and help you design and execute a local campaign. Community Land Use and Economics This top-notch consulting firm does economic impact studies of proposed big-box projects, retail market analyses, independent business development plans, and much more. Civic Economics Another first-rate consulting firm, which specializes in economic impact analyses and strategic planning. American Independent Business Alliance (AMIBA) Terrific resources and how-to assistance for forming an Independent Business Alliance and starting a “buy local” campaigns. In more than two dozen cities, AMIBA has helped launch campaigns that have succeeded in making “locally owned” a selling point. National Main Street Center Highly effective model and many great resources for revitalizing your downtown and neighborhood business districts.